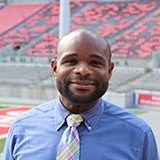 Walter King’s research focuses on sports analytics as it relates to baseball. After graduation in May, Walt relocated to Anaheim, California for a baseball operations Internship with the Los Angeles Angels. One of his mentors, Economics Department Chair Trevon Logan, helped Walt with his research in sports analytics — one of Logan's specialties. HOW MUCH IS A RECRUIT WORTH? I derive the marginal productivity of each individual player measured in wins added to their team. I do so by estimating production in offense, defense and pitching which are measured in runs above/below a hypothetical output. I've always been a huge baseball fan and the book Moneyball inspired me to explore what could be done quantitatively within the game. I took Dr. Logan's Economics of Sports (ECON 4860) class because it sounded interesting and learned that he had a lot of experience writing research papers (which is a vast understatement). One day I met with him during his office hours and shared my research. He agreed to help me further my work. Statistics and econometrics were enormously beneficial in helping me understand statistical research methods and how to interpret data. As an economics major I was also exposed to a lot of academic writing. Having a paid research position through the University provided an enormous incentive to expand my research from what was previously just a hobby. I’ve learned a lot, but I'd say the main thing I learned was to be bold and to share my work. It took me years before I showed my research to anyone. I wish I would have reached out sooner because networking is just as important as having quality work. I was surprised at how difficult and tedious it can be to write a good research paper, and how many revisions will need to be made. Do you plan to continue this research or related work? Yes! After graduation in May, I am relocating to Anaheim, California, for a baseball operations internship with the Los Angeles Angels. I’m hopeful that this will become a more permanent position within their front office. I would recommend students start early and don’t be intimidated. 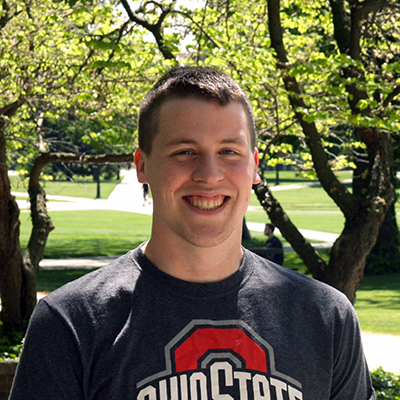 Professors at Ohio State are friendly and are more than willing to help students who show an interest in their field. All it takes is one conversation, one phone call or one email to get started.